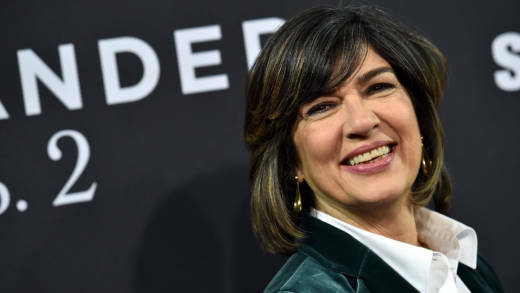 PBS announced Tuesday that CNN correspondent and host Christiane Amanpour will host a new late night public affairs program on the channel, permanently replacing disgraced host Charlie Rose's long-running interview show. The new hour-long show, Amanpour & Company, will feature interviews with global leaders and reports from correspondents like Michel Martin, the weekend host of NPR’s All Things Considered; and Hari Sreenivasan, anchor for PBS's NewsHour Weekend and host of SciTech Now. The show is scheduled to begin airing in July. "I am very pleased to be taking this role at PBS, which is a long proven bastion of quality journalism and quality programming," Amanpour told the Hollywood Reporter. "And I am delighted for the opportunity it gives me to speak to Americans about what's happening in the rest of the world and about how the world views America." A simulcast of Amanpour's half-hour global affairs show on CNN, Amanpour, served as a temporary fill-in for Rose's PBS show Charlie Rose after its cancellation in November. First broadcast on PBS in 1991, Rose's one-on-one interview show ended after eight women and former co-workers of his publicly accused him of sexual harassment. PBS president and CEO Paula Kerger released a statement Tuesday citing an "enthusiastic response" to Amanpour's show since the start of the simulcast, and that her new show will "give viewers a better understanding of our world."